If rumour be believed, Winston Churchill’s grandparents were fond of a tipple in this watering hole. It is quite feasible that brandy served within these four walls lubricated gyrations that indirectly led to his fighting them on the beaches, and the landing grounds, and the fields. Hence why the pub (renamed after WW2) may be partially responsible for the language in which I’m writing…? Quite a claim to fame. What’s more, it was also the first pub in London to serve Thai food! How’s that for the big two!? Great British leader-related heritage, and lemongrass-infused noodle food!? An obvious match as well – it is a little known fact that Winston spurred us to victory in 1945 by swapping the Bully Beef for Pad Thai. Unfortunately though, this odd marriage is synonymous with our experience here. It was warm and cozy with a great buzz of people, both local and tourist. 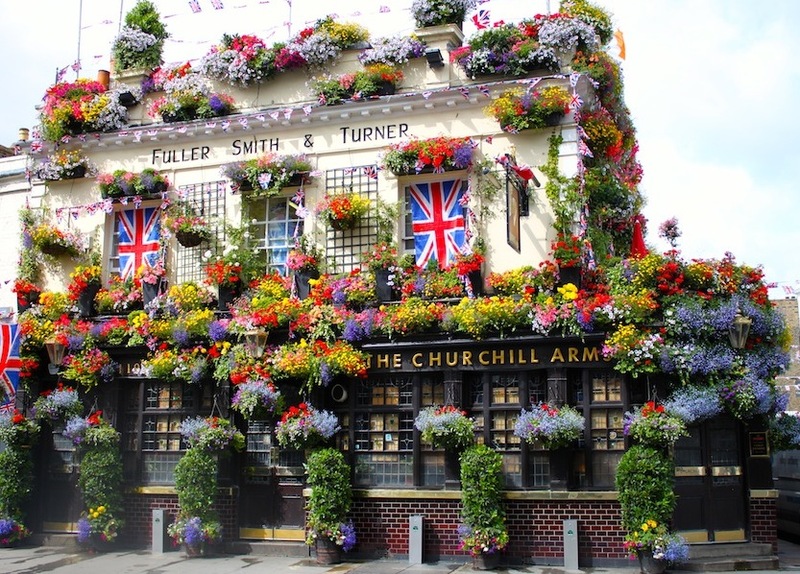 It was fascinating to sit with a pint of Fuller’s (only beer on offer) and mull over how different the last 70 years could’ve been if Nana and Papa Churchill hadn’t caught each others’ eye here one night – as long as you don’t mind sitting in the dark. Squinting through the darkness at walls adorned with faux portraits of Winnie (and any other English monarch you can think of) may be an attempt at recreating the atmosphere of his granparents’ day, but sadly feels a little bit like they forgot to take down their Diamond Jubilee decorations down (for Queen Victoria).